Home » Who Are the Right Candidates For PICSI? 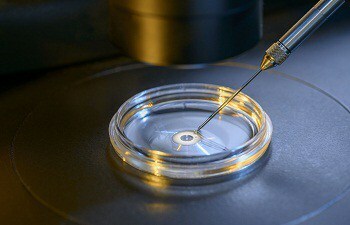 PICSI stands for Physiological Intracytoplasmic Sperm Injection. It is a method of selecting the best sperm for fertilization. The better the quality of the sperm is, the better are the chances of fertilization. The procedure of PICSI works on the principle of Hyaluronan Binding. Hyaluronan is a material found in most part of the body including the female egg cell. The quality of the sperm is determined by its ability to bind with Hyaluronan. The dish in which the sperms are placed, have traces of Hyaluronan. The sperm cells which bind to these traces are selected for the procedure. SO, WHO CAN OPT FOR PICSCI? DNA fragmentation refers to the amount of genetic damage in the DNA of sperm. Sperm is the powerhouse of genetic materials that are carried to the body of the female. The fragmentation of the sperm DNA shows the breaks in it. Recent researches have shown that, sperm DNA fragmentation is one of the leading causes of male fertility. Sometimes, while the motility, quantity, and quality of the sperm are fine, failed pregnancy can also be a result abnormal genetic composition of the sperm. In the procedure of PICSI, the most genetically healthy sperm is chosen for fertilisation. ICSI stands for Intracytoplasmic Sperm Injection. It is an IVF or In Vitro Fertilization procedure in which a single sperm is injected directly into the cytoplasm of an egg cell or ovum. This technique is used to overcome male infertility. It was introduced in early 1990s and has been successfully applied for the treatment of many males with fertility problems. The procedure is done when males have low sperm count, motility, quality, or abnormally shaped sperms. But if the process of ICSI fails, one might opt for PICSI which is an advanced resort to treat infertility. If the couple is constantly unable to conceive or has several miscarriages, they might opt for PICSI. Sometimes, the reason behind this is unknown: if all other methods of IVF fail to help, it might be a good idea to opt for PICSI. In PICSI, only the most genetically healthy sperm is chosen for fertilisation. Going with a genetically healthy sperm increases the chances of conceiving considerably. Sometimes the exact problem with the sperm is not known. In such cases, going for PICSI might be a good idea. • The procedure of PICSI is extremely beneficial for males whose sperms have high degree of DNA fragmentation. PICSI chooses the most genetically healthy sperm which increases the chances of fertilisation. • PICSI chooses a sperm on the basis of its genetic matter and ability to fuse & fertilise, unlike ICSI which chooses a sperm only the basis of its appearance. Sometimes, a sperm that is healthy looking from its appearance, might be carrying genetic defects. • The procedure of PICSI is easy to conduct. • Relatively a new procedure and not widely practised. • Since it is new, its effectiveness is still under speculation.